World’s largest gathering of industrial hemp producers takes place at the 5th Annual NoCo Hemp Expo, April 6 - 7, 2018, at the Ranch Events Complex in Loveland, CO; Call for speakers, sponsor, exhibitors is now live. Loveland, CO (December 13, 2017) -Tickets are now on sale for the 5th Annual NoCo Hemp Expo, the largest two-day gathering of hemp thought leaders, speakers, producers, entrepreneurs, and exhibitors from around the globe. Taking place April 6-7, 2018, at the Ranch Events Complex in Loveland, CO, the event will showcase the latest products, innovations, research and advancements in the hemp industry world-wide. Recognized by the Hemp Industries Association as the “Hemp Event of the Year,” NoCo5 will offer two interactive expo halls featuring products from international brands, introduce a Farm and Agriculture Symposium to share the latest research, techniques and methodologies for industrial hemp production, and an expanded hemp investment summit for the 5,500 attendees projected this year - an increase from 4,700 in 2017. The trade show and conference is considered the most influential hemp-centric event in North America. The $2 billion hemp industry worldwide continues to gain increased attention. This year’s NoCo5 will draw professionals across industrial, nutritional and therapeutic hemp industries and feature attendance by state and federal government representatives spearheading current legislative changes around the future of hemp in the U.S. bringing increased media spotlights and attention on the future of the industry. With growing support across bipartisan lines, Congressman James Comer (R-KY) Bob Goodlatte (R-VA), Jared Polis (D-CO), and Thomas Massie (R-KY) joined forces to reintroduce the Industrial Hemp Farming Act in the summer of 2017 calling for the complete removal of hemp from its current oversight and regulations of the Controlled Substances Act. On Friday, April 6, NoCo5 is hosting “Industry B2B Day,” open to trade visitors and those interested in the hemp products market. Programming will feature the 3rd annual Hemp Summit, an important gathering of hemp-focused investors, founders and professionals. In addition, Industry B2B Day attendees are invited to visit the exhibition halls, participate in interactive demonstrations, attend panels from over 75 industry experts and speakers, and learn the latest in new technologies, techniques, and applications. For agricultural producers, a new, full-day NoCo5 Agricultural and Farm Symposium onSaturday, April 7, will highlight early learnings, recommended production practices and market opportunities from pilot programs in Colorado, Kentucky, Pennsylvania and other states and regions where commercial hemp crops are permitted and/or licensed to be grown. The symposium also will feature new equipment, recommended growing practices, and farming and agricultural exhibits. NoCo5’s two exhibition halls and educational seminars are open to the general public onSaturday, April 7, where attendees will sample and experience the latest usage of natural industry hemp products, and attend panels and speaking events on the latest in environmental impacts, nutrition, and growing health and wellness applications. 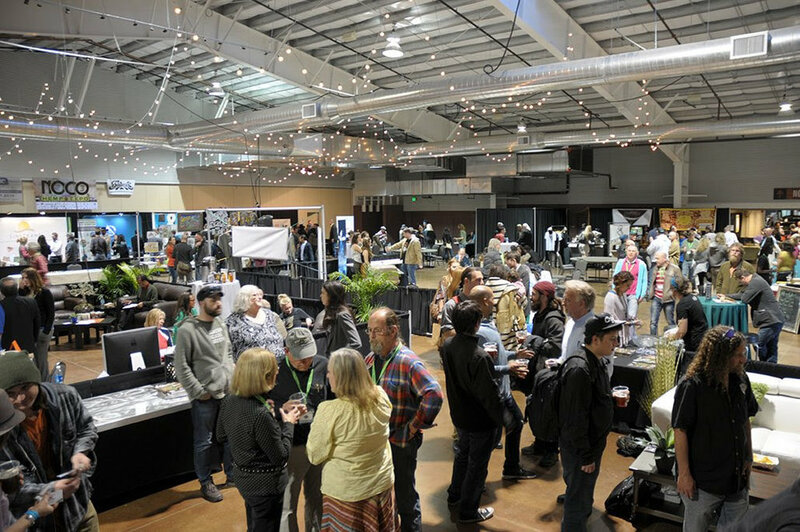 In addition, the NoCo5 Global Hemp Village will showcase innovative products and ideas from international exhibitors, from super foods, supplements, textiles, paper, accessories, hemp beauty products, and plastic and building alternatives. “The cultural shift in the perceptions, demand, and applications for hemp in the U.S. and around the world are priming the hemp industries for growth, and NoCo5 is at the epicenter of the industrial hemp revolution” says president and NoCo Hemp Expo co-founder Morris Beegle. Tickets and registration are available for the General Public, Industry B2B Day (including the Hemp Business Summit), and the Agricultural and Farm Symposium at http://nocohempexpo.com/ticket-sales/. For speaker, sponsor, exhibitor and volunteer inquiries, visit http://nocohempexpo.com/registration-noco5/. Now in its fifth year, NoCo Hemp Expo – NoCo5 – is produced by WAFBA LLC (We Are For Better Alternatives), based in Loveland, CO. Established in 2012, WAFBA is also founder of TreeFreeHemp paper and printing services, and Colorado Hemp Company, “supporting all things hemp.” Areas of focus include product and brand development, marketing, printing, production, events and advocacy. Learn more at NocoHempExpo.com, and find us on Facebook and Twitter.